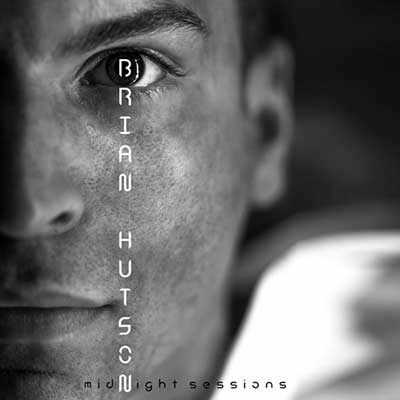 The four song (five included the bonus cut) EP effort from vocalist and songwriter Brian Hutson entitled Midnight Sessions represents the first peak in what will, undoubtedly, be a long journey for this young musical talent. 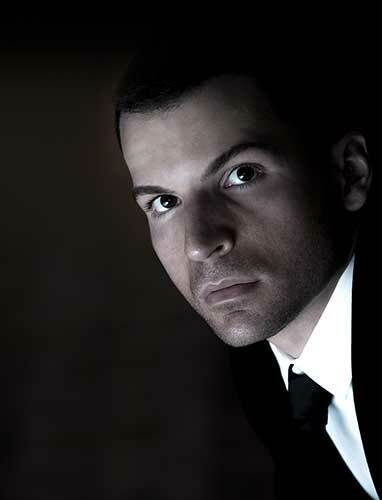 Beginning to sing at the age of 12, Hutson pursued music with passion while still exploring other career opportunities and later entered the financial world to work on Wall Street. The aforementioned facts might seem incongruous after hearing his musical offerings. He doesn’t sing like you imagine someone might given such a line of work, but it’s clear on every cut that he has a tremendous of soul and passion he invests in every release. It makes for invigorating listening and let’s anyone know that this performer is someone to watch now and, likely, for years to come. Midnight Sessions is understated and artful in the best possible way. Break My Heart has an evocative opening before it shifts into a smooth bit of pop with strong playing strengths. Hutson has obviously surrounded himself with players who are committed to making the song as good as it can be, a seamless listening experience, and show little care for possibilities to show off their individual prowess. The drums are miked up for maximum effect, a sign of Joe Vulpis’ sure handed production touch, and the jangling sound of the song envelops listeners in a warm aural glow. Kiss Me Feel It has a more spartan vibe than the opening song and is propelled forward melodically by a trio of instruments – the two primary movers are acoustic guitar and piano, but there are colorful embellishments coming from organ. There is a spate of electric guitar parts adding color as well. It’s all held down by a superb rhythm section performance, but the track’s crowning achievement is the world class vocal he delivers that seems to only gather strength as the song progresses. One Night Stand has an easy going, amiable grace and an almost country-ish vibe, There’s more than a little regret in this track, a sense of melancholy about seemingly transitory connections, and the fine writing underscores these emotions. Behind the Wall is, far and away, the most impassioned number on Midnight Sessions and the turbulent musical arrangement is quite fitting for the lyrics. Hutson vocally throws himself into this song with a level of passion we don’t hear on the earlier tracks. The final song included with Midnight Sessions is deemed a bonus track, but Keep the Faith Alive isn’t some sort of throwaway number at all. This track features some strong vocal harmonies and a near crystalline build up from a spartan opening to its near orchestral sounding chorus. It certainly radiates optimism more than any other song on Midnight Sessions and positively sparkles at points. Brian Hutson’s voyage to musical prominence has been a little circuitous, but his debut singles and this EP release shows that he’s a five star talent with plenty of time to evolve, grow, and get even better. If you enjoyed a preview from Brian Hutson’s Midnight Sessions, check out his official website by clicking here. Give him a like on Facebook by clicking here, a follow on Instagram by clicking here & a follow on Twitter by clicking here. When you are done, make sure to check out Midnight Sessions on Soundcloud by clicking here.